There are various designs you can use. The design you see above is not fantastic, it looks kind of unstable. The design here on the right is perhaps a better choice., as the feed are bound both at the front and the back. 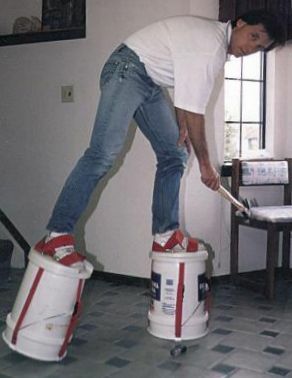 To produce your own bucket stilts, all you really need is something to tightly attach the buckets to your feet. You can drill hills into the top of the bucket, to pull rope through. 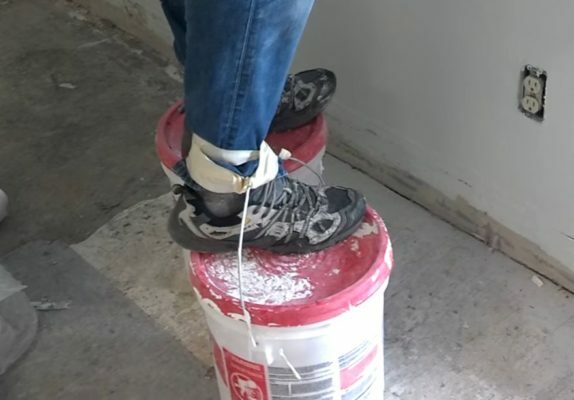 Whatever you do, do it in such a fashion that there’s no real motion of the bucket relative to your feet. You don’t want to fall while you’re wearing these, you could easily break an ankle. I would only recommend doing this on flat surfaces with enough friction. 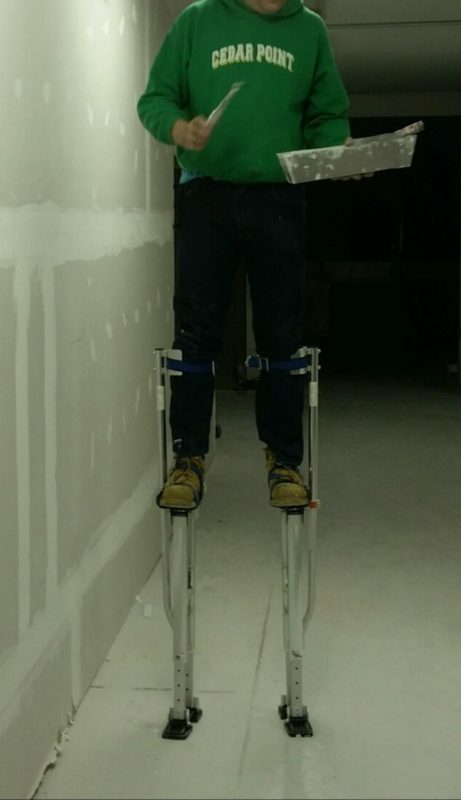 If you’re in need of stilts, there’s a safer option you can consider. 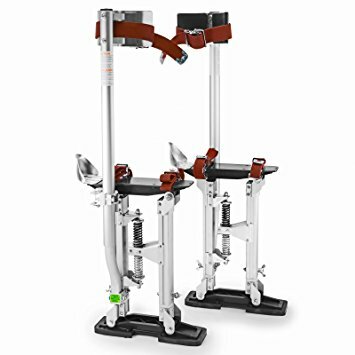 Get your own pair of professional aluminum stilts! They look very tall in this picture to your right, but you can easily set them at just about any height you could need. The aluminum frame makes them very light weight and because they’re tightly attached to your body it’s pretty safe to use these.